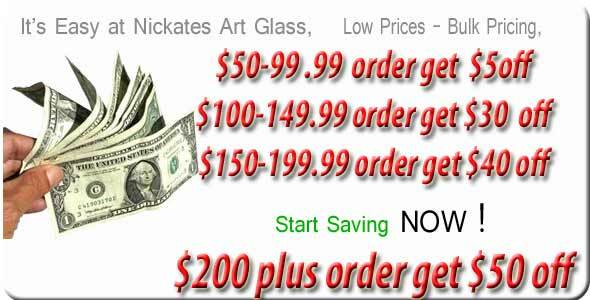 New Spectrum Spirit and Opal Art Glass system 96 intro pricing now from Nickates Stained Glass Inc.
OpalArt™ Hypnotic OpalArt is created when disparate glasses are stirred together onto an opalescent base. The resulting broad swirls of color are as unique as they are magnificent. Fully heat-compliant for all hot glass crafts. A Spectrum exclusive. Spirit™ Sweeping comets of color on either a clear or Firelight base creates a distinct, mouth-blown look. Fully heat-compliant for all hot glass crafts. A Spectrum exclusive. Pearl Opal Art Mix Multi-color blends with the unmistakably luminescent Pearl glow that is further enhanced with the subtle Corsica texturing. A Spectrum exclusive.